Where is Westbury? Westbury is a small enclave of upscale estate homes located off of SW 27th Ave. It is just minutes to Trinity High School, Hwy 200 and more. What is the neighborhood like? 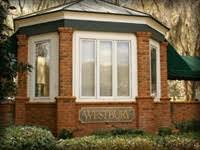 There are fewer than 40 homesites in Westbury making this guard gated community truly exclusive. Homes are on well and septic. There is a live guard at gate – not a key pad entry. The school zones are Saddlewood Elem., Liberty Middle and West Port High. There is an HOA in place that covers the guard and common area maintenance. There is not clubhouse. I want to sell my home here. Ok great. Please call me for a detailed market analysis of your home. We will discuss the best marketing plan and asking price. Please know automated estimates are often inaccurate – your home may be worth more! I want to look at homes here. The public will not be admitted in to the neighborhood with out the presence and appointment of a Realtor. If you are interested in homes in Westbury, please call me to schedule an appointment of any available homes. Below is a list of available homes. Similar neighborhoods: Bellechase, County Club of Ocala, Golden Ocala.